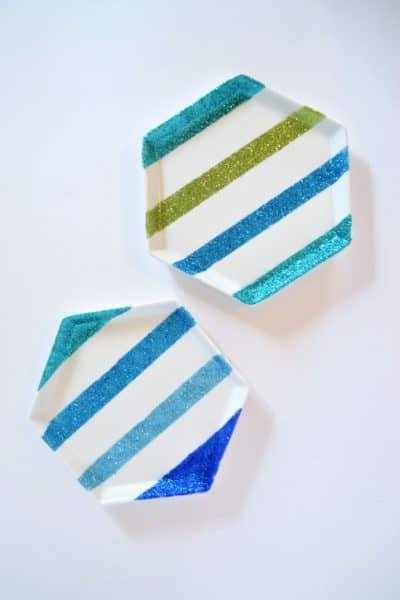 I have and adore this glitter set, and love when I can get a chance to combine some of my favorite colors to create something colorful and sparkly. 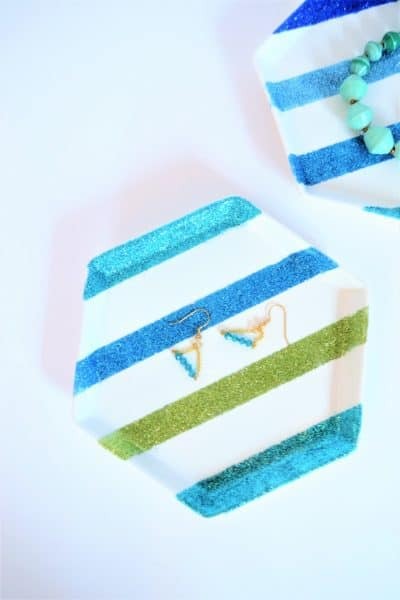 Step 1: Use your painter’s tape to create your pattern on your plates. 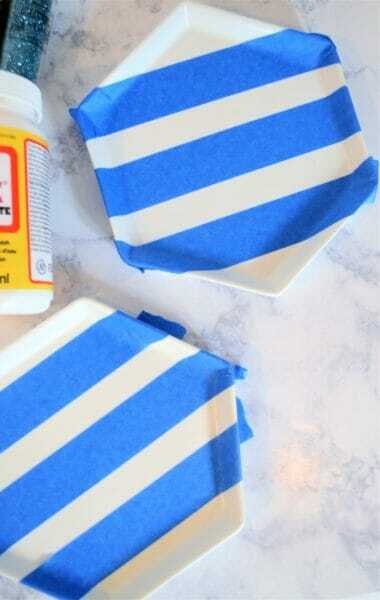 Make sure to press down all edges of the tape well, to prevent the Mod Podge from bleeding underneath the tape. 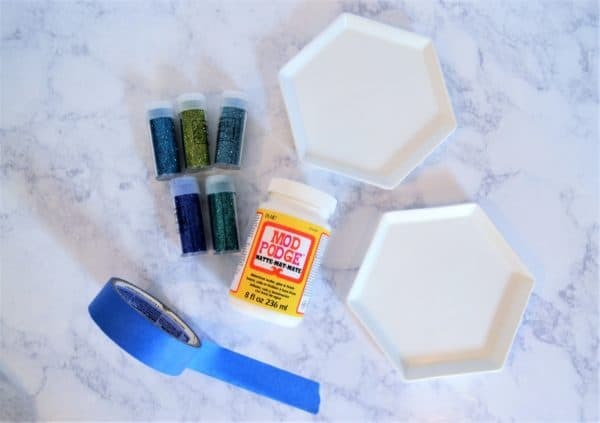 Step 2: Using a foam brush, apply a thin coat of Mod Podge to your plate, and gently sprinkle your glitter onto your coated section. Tap gently to remove excess glitter. Repeat for each section of your plate. Let dry completely. After mine were dry, I took a minute to touch up a couple of edges that needed a bit more glitter. 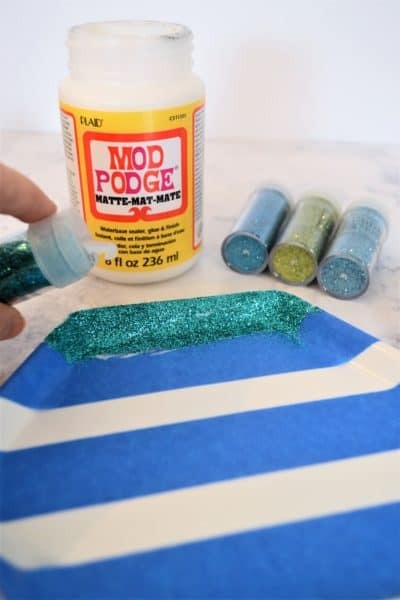 Carefully coat with a thin layer of Mod Podge to seal, if desired. 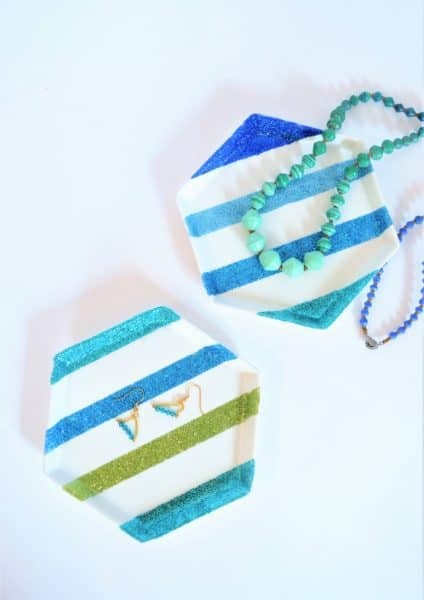 These really couldn’t be easier, and are perfect for gifts, or to organize your jewelry or makeup. I’m considering putting one next to my sink to hold lotion and soap, and one in my kitchen to hold a plant. They’re just so versatile! 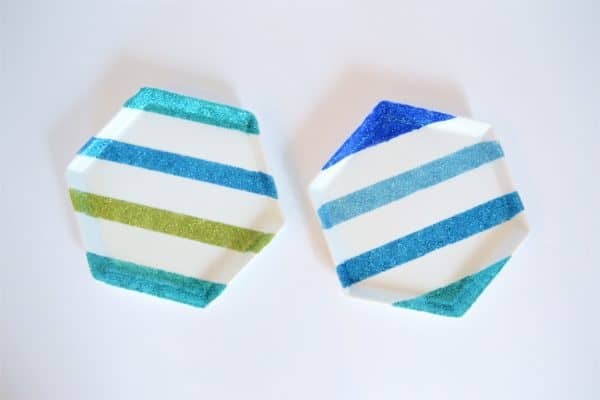 Thanks for reading all about my easy decoupage plates! Have a crafty day!